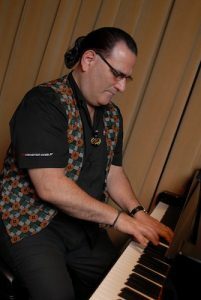 "How To Unlock The Hidden Secrets Of The Greatest Jazz Improvisers"
If you want to be a great jazz improviser and don't want to pay thousands of dollars for lessons then this will be the most important message you're ever going to hear. I still remember the horror. I was invited to my friend's party to jam with his musician buddies for the first time. I’d heard about these legendary parties before. I knew there was going to be a ton of musicians there that I’d like to impress. About an hour after I arrived at the party I was invited on stage. My big moment was finally here. 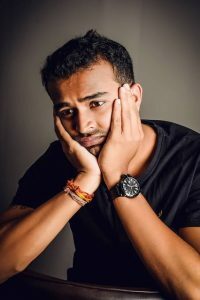 Struggling on stage is no fun! They played the first few notes and immediately my nerves starting taking over. And a few measures later it became abundantly clear how unprepared I was as a musician. They were running up and down their instruments and playing freely. 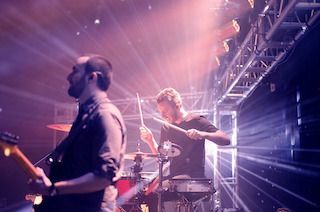 Making great music in the moment. And all I could do was just play a few boring patterns that I had practiced. They didn’t even fit that well! They were creative with their instruments and I felt like I was just stuck in a box. I ran out of ideas right away. I was clearly missing critical things in my playing. It all came to a crashing halt when they pointed at me to take a solo. All eyes were on me and in my moment of attention I bombed horribly. I’d never been more embarrassed. You see, I had been trying to teach myself jazz piano for 3 years. But it was so obvious now that what I was practicing was absolutely the wrong stuff. I was playing the same old cliche licks. You know the ones that everybody’s heard 1000 times before? My chops, my chords, my licks, my ear, my scales, were not where they needed to be either. Worst of all, my improvisation was a disaster. I mean, jazz is an art form built on improvisation and I had completely neglected this in my practice! My horrible improvisation skills had just ruined the whole night. I even looked out in the crowd and I saw a few people laughing at me. After the song was over, I limped away from the keyboard and immediately left the party. How could I show my face again? I was so depressed that I didn’t leave the house for 2 weeks. It was horrible. It had been 2 weeks since that awful night when I received a phone call from my friend Tommy. 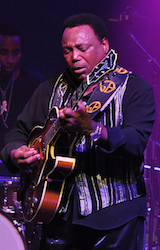 Tommy invited me to a George Benson concert to try and cheer me up. At this point I was plain desperate. I needed inspiration in anyway that i could get it. So, I reluctantly agreed. I was just getting out of the house to try and cheer myself up but this small decision proved to be a life changing moment. It’s funny how listening to great music sometimes can heal your soul. Because that night was special. 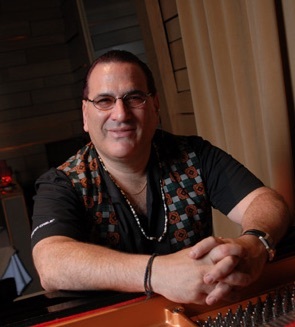 But, what truly blew my mind was the inspiring playing of his keyboard player David Garfield. I’d never heard anybody play jazz piano like that in my life. If I can be honest. David Garfield stole the show! 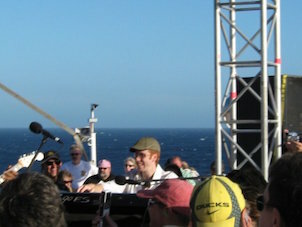 David had the audience rocking in their seats every time he took a solo. From the licks, to the chops, to the chords, it was some of the deepest jazz improvisation I’d ever heard. 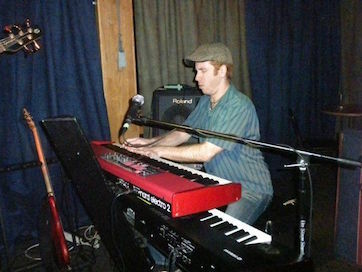 And David's playing was super soulful and from the heart. I was spellbound. What Does It Take To Be A Great Jazz Improviser? I was so inspired by David's amazing playing that I did something very bold. I desperately had to learn how he was doing it. After the gig was over I walked up to David and asked him if he would teach me. I knew this was crazy. And the chances were probably 1 in a million. You see players like David rarely reveal their secrets. And certainly not to players who weren’t already in the exclusive club of ‘real musicians’. I mean David was playing piano for many of the biggest legends in the music industry. People like George Benson, Freddie Hubbard, David Sanborn, Natalie Cole, Manhattan Transfer, Don Henley, Eddie Van Halen, Michael McDonald Boz Scaggs, Cher, Michael Bolton, and so many other greats. Reluctantly, I revealed to David my improvisation failures. The pain and embarrassment I felt when I fell flat on my face in front of other musicians. He must have saw the look of desperation in my face. And to my shock he agreed to teach me. It was truly an incredible stroke of luck for me! You see when David agreed to mentor me I began a 10 year journey that revolutionized my musical life. My improvisation improved beyond my wildest imagination. Armed with my new skills, I finally started to pick up some local gigs. They went great and word started getting out about how much I had improved my playing. Next thing I know I was gigging 5 nights a week in some of the hottest clubs in Chicago. I was finally playing with some of the best musicians in the city. Yes, I practiced smart, but David's incredible training pushed my playing to levels I could only dream of. In 2017, David’s career took off even more. 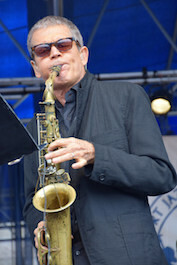 Not only was he the musical director for George Benson but he also started gigging with legendary saxophone player David Sanborn. So, with a busy touring schedule David's availability was virtually non existent. Short supply went to no supply! This was very bad news for jazz improvisation education. I couldn’t stand the thought that all those amazing jazz improvisation secrets were now essentially ‘locked away’. I knew I had to do something about it. So, I was compelled to share all the life changing musical discoveries I had learned from him with as many people as possible. So, this spring, I flew David to our studio in Chicago. 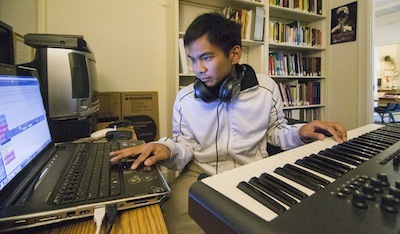 Together we created a brand new DVD program to help students unlock the hidden secrets of the greatest jazz improvisers. It uses the same blueprint I used to completely revolutionize my jazz skills. And the best part is I personally guarantee it will work for you. 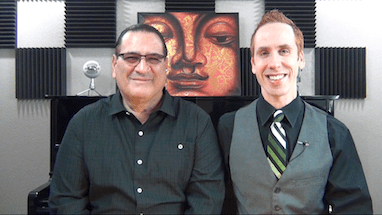 "The Jazz Improvisation Super System"
Over 5 Hours Of Jazz Improvisation Secrets Filmed In HD. 116 Pages of Downloadable Sheet Music, Transcriptions, Written Examples, Licks, & Templates. A Complete Method That Shows You Step By Step How To Improvise Over The World's Greatest Jazz Songs With Ease. The Most Cutting Edge Chords, Scales, And Harmony Secrets That Today's Top Musicians Must Know. Little Known Scale Tricks To Get Your Fingers Easily Flying Across The Keyboard On Any Song You Play. Rarely Revealed Harmony Formulas From Greats Like Herbie Hancock, Chick Corea, McCoy Tyner, Horace Silver, Cedar Walton, & More. Watch This Amazing Video To See What You'll Learn! How To Play The Best Jazz, Latin, And Blues Comping Chords That The Top Pros Use To Supercharge Their Songs. "To hear David play is to be inspired. To learn from him is to be smart. I learned so much from my lessons wth David. If you're serious about learning how to play why not learn from the best? 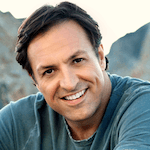 No matter your skill level, David can help you take your playing to the next level." Hundreds Of Playing Examples So You Can Watch And Learn Every Move That David Makes. Simple Pentatonic Patterns That Allow You To Play Great Sounding “Side Stepping Licks” Without Ever Sounding Like You’re Hitting Wrong Notes. "Steve is truly unique in his style. He is devoted to helping each student's creativity."" "David is a fantastic player & teacher. Most other players are merely 'one trick ponies'. 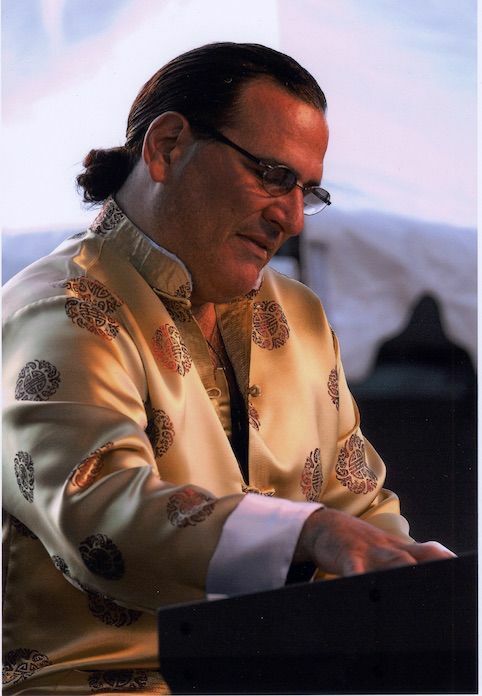 The fact that David has skills that are vast and wide makes him valuable to anyone interested in learning music or playing any keyboard instrument"
David's Modern Blues Chord Voicings & That Make Your Blues Sound More Ultra Sophisticated & Cutting Edge. "Real players are always looking to learn, and I've learned a ton from Steve Nixon!" Note For Note Transcriptions Of Live Jazz Solos That You Can Use To Quickly Add Hundreds Of New Playing Techniques Under Your Fingers. How To Correctly Practice Jazz, Latin, & Afro Cuban Rhythms So Your Playing Sounds Authentic, Grooving & Powerful. PLUS...You have the option of instantly streaming the video and/or owning your very own DVD set. So, you can learn and play from the video from anywhere at any time! 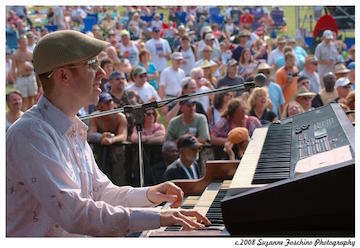 Over 5 hours of Jam Packed Video Training On Jazz Improvisation. A Step By Step Exploration Of Hundreds Of Jazz Improv Secrets That Can Be Used On Thousands Of Jazz Songs. 116 Pages of Downloadable Sheet Music, Transcriptions, Written Examples, Licks, Chords, Templates, & Jam Tracks. An Easy To Follow Action Plan That Will Help You Improvise Over Your Favorite Songs Quickly & Easily. Tons Of On Screen Video & Text That Makes Learning Every Note Fun, Easy, & Accessible. You Don’t Need to Know How To Read Music Either. All The Songs, Scales, Patterns, Licks And Chords Are Notated, But You Can Just As Easily Play, Pause And Rewind The Video As Much As You Like! It's Time To Sweeten The Deal Even More. Discover powerful playing techniques from keyboard legends Chick Corea, McCoy Tyner, Herbie Hancock, Cedar Walton, & Horace Silver. Includes note for note transcriptions and drills of how to incorporate their sound in your playing so you can master every move! 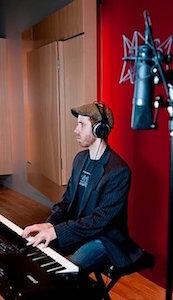 Bonus #2: David's "Amazing 2 Handed Voicing Masterclass"
David has played with some of the best musicians in the world. 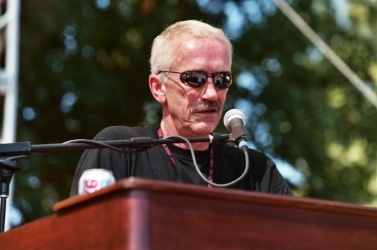 Get a rare insight into the types of 2 handed voicings he uses to accompany other musicians. David breaks down each voicing note for note and also shows you great sounding rhythms you can use to plug right into your own music and start grooving right away. Study every move we make right inside your favorite program. Watch every note move on your computer.... IN TIME! Slow down and transpose your favorite songs, licks and chords to any key. Incredible sounding bass and drum tracks that you can use to master every song, chord & lick in “The Jazz Improvisation Super System"
Get the incredible feeling of playing with a pro jazz drummer and bass player. Play with a band 24 hours a day. Improve your rhythm and have more fun! 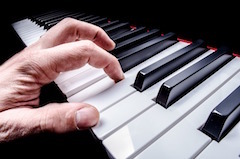 Learn 7 exciting moves you can use to inject an exciting Latin & Salsa flavor to your piano playing. 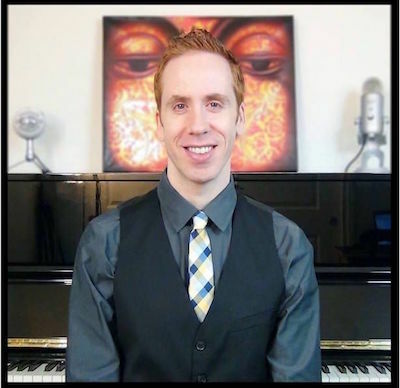 Video demonstration of every single move so you can watch & learn every note step by step. Note for note sheet music for all 7 moves. If you were to work with us 1 on 1 as a private student for over 5 hours you would have to invest $1500 for your sessions with us. 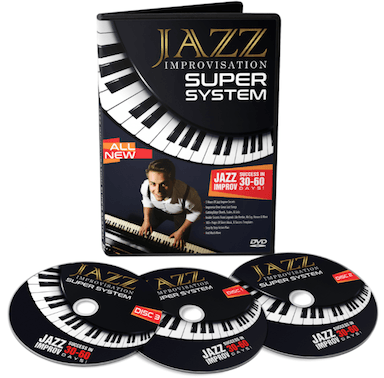 In order to make this product available to everybody we’ve decided to price "The Jazz Improvisation Super System" 3 DVD course at a fraction of that cost. You’re going to be learning our BEST secrets for jazz improvisation all in the comfort of your own home. Additionally, you’ll be able to watch as we break down each concept in depth as many times as you like and you’re only going to pay a fraction of what it would cost to hire us 1 on 1. 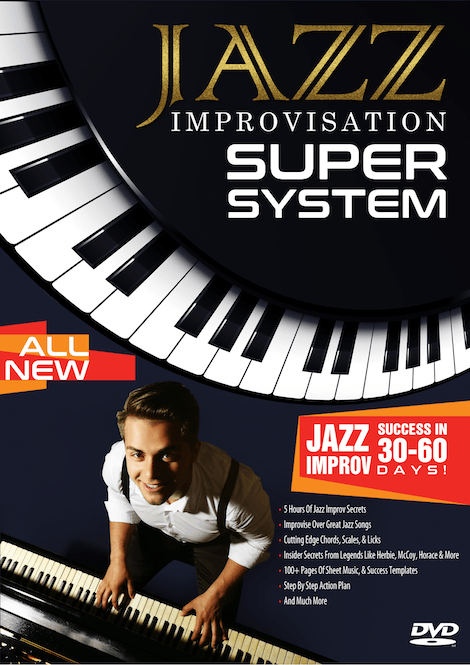 Get The Jazz Improvisation Super System Now! * Learn amazing jazz improv skills. * Your own private copy. * Mailed First Class Worldwide. * Watch Online or Offline. 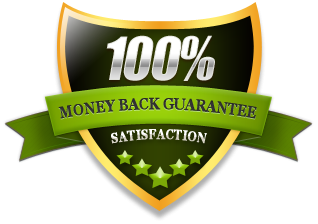 "My 30 Day 100% Money Back Guarantee..."
This DVD set comes with my 100% money back guarantee for 30 days. If you don't like it for any reason all you have to do is send me an email and say 'refund please' and I'll promptly refund you. No questions asked. Plus, you can keep the bonuses that I offer with the program. You do not risk anything by ordering now. I wish you complete success and lots of enjoyment with the course! Coauthor of the "Jazz Improvisation Super System"
P.S. I can't wait to hear about your success with the course!